Finding great job candidates is a challenge. Few companies are lucky enough to have the perfect candidate simply show up, which means time and effort must be spent to attract talent. That presents several challenges to employers, the two biggest ones being access to a talent pool and making the position appealing enough to attract the right candidates. The time and effort needed to identify and attract candidates is one reason employers turn to Milwaukee recruiters. But even more than that, employers know that in order to reach the best candidates, they’ll need access to the recruiter’s talent pool. Recruiters are adept at identifying the right candidate for each position. Here’s how they do it. Employers who are filling positions themselves tend to focus on finding candidates who meet a certain skill set. Although this is important and can help weed out unqualified candidates from the start, this approach focuses on the past, not the future. Recruiters, on the other hand, focus more on the candidate’s ability to perform the job going forward. Milwaukee recruiters know that the best candidates want to further their careers. Therefore, they are going to be more interested in companies that offer opportunities for growth or continuing education. By highlighting performance expectations, recruiters can pique candidates’ interest by letting them know that their career progression will be supported. Employers want candidates to want to come and work for them. As a result, they oversell positions or make them seem much better than they really are. The idea behind this is that they will generate more interest and then have a larger pool of applicants. Although true, there’s a downside to this method, which occurs when applicants realize the job may not be all they’ve been led to believe. When this happens, applicants lose interest or back out of the process. The end result is lots of wasted time and resources for what is likely the same size talent pool as the employer would have had in the first place if they hadn’t sugarcoated the job. Executive search firms take a different approach. They are very upfront and clear with the candidates about positions and expectations, giving them a much more realistic view of the job. This minimizes the number of applicants who drop off or walk away from the job after so much effort has been expended. It also makes it less likely that the new hire will quit shortly after starting the job, once they realize what the job actually entails. Interviewing is a skill that can be learned. This means that candidates can learn how to provide stock answers to the most common interview questions. That can hinder an employer’s ability to identify candidates who are truly a good fit for the position, which means those interview questions are essentially useless. Executive recruiters prepare for these types of situations by asking questions that can’t be answered with a rote response. Rather than asking a candidate about his or her strengths or weaknesses, an executive recruiter may ask the candidate to imagine a situation in the future and develop a response to that. This type of question can help a recruiter identify candidates who have long-term visions of developing a career with the company. Executive recruiters in Milwaukee have a huge talent pool to tap into because they stay in touch with candidates, both when they help place them into a new position and when they don’t. This contact keeps recruiters current on the candidates’ skills, abilities, promotions, job changes and awards. When the right position opens up, the recruiter can quickly identify candidates who would be a good fit. There’s no reason employers can’t do this themselves. If you meet a candidate who would be a good fit for your organization, but not necessarily for the open position that is available at the time, keep in contact with that person so you can reach out to them if a more suitable position opens up. 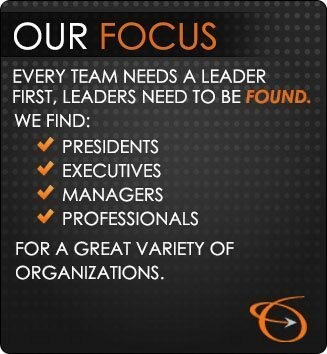 Finding the right people to bring into your organization is a difficult task. The Lawler Group can help identify and vet qualified candidates for you, and also help you draft creative interview questions, making your job easier. For more information about our services, contact us at 262-241-1600.